Do you have birds at your home? Many people keep parrots and similar species, canaries, finches, lovebirds, mynas, doves, and several other bird species as pets in their home. Do you know a variety of birds get infested by bird mites? Bird mites are very small pests almost invisible to human eyes. These pests are oval in shape with 8 legs and are 0.5 mm in size. The pests have a sparse covering of short hairs are transparent in color. After a blood meal, the mites look dark in color. The bird mites are found naturally on birds as well as their nests. The bird pests are parasites that feed on the blood of the host birds. The number of these pests increases rapidly. Identifying bird mites and taking steps to eliminate the mites is essential. 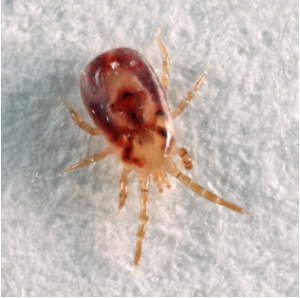 Not only these mites are dangerous for your pet birds but can also pose threats to you and your family members. You must have the idea about the mites and health concerns related to the mites. There are certain DIY Jobs treatments you can adapt to get rid of bird mites. Hiring professionals for Bird Mites Pest Control could work effectively and eliminate the mites for the long term!